Have you watched Flubber movie 1997? If yes, then you know that in this movie Robin William makes a green rubber-like substance named “Flubber”. In this experiment, we will make flubber (It won’t talk! SORRY!) But you can play with it. You will also understand the science behind it. Pour ¾ cup of warm water and 1 cup of white glue in a bowl. Pour all the solution of borax in the first bowl, and stir the mixture well with a spoon. Pour all content of bowl in an airtight Close the bag tightly and make sure no liquid is leaking from the bag. Knead the mixture in the bag with your hands from outside for 5 to 10 minutes. You can remove it from the bag and play with it. If your flubber is sticky then let it dry a little bit, then it will be okay. The flubber you made is a Polymer. You made it by mixing borax and glue together. Borax acts as a connector (crosslinking agent) for the glue molecules. When glue molecules are joined together and formed a large molecule chain you got a gel-like substance. Try to make a rainbow flubber. You can make it by preparing seven different flubber, but kneading all the seven flubbers together when they are still sticky. 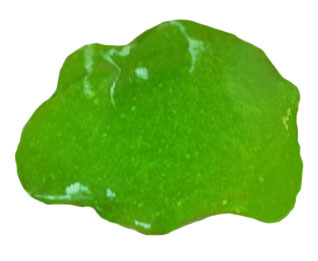 Abdul Wahab, "Make Your Own Flubber at Home," in Science4Fun, April 13, 2019, http://science4fun.info/make-your-own-flubber-at-home/.